We welcome you to explore our web site and find out more about us. Visit our store and check out our fine selection of CD's. They are all excellent for Bible Study. Sunday school teachers, ministers, writers, serious students of God's Word will all benefit by the commentaries, and exposition of God's Word by the Godly men whose writings have been digitized for ease of reading, searching, and copy/pasting into your favorite word processor. We have processed these books through various methods of scanning, typing, proof-reading, editing, formatting, and processing into PDF files for use by Adobe Acrobat Reader. Although our CD's include an older version of Adobe Acrobat Reader you should download and install the latest version from www.adobe.com for use with your new computer's operating system. (The PDF reader that is built into some internet browsers and word processors often do not have all the functionality of the free Adobe Reader). Most of our books have resulted from dedicated people who have a desire to see good Christian books, research material, and other theological works available to a wider audience than is generally possible with the printed page. Many of the books are out of print and are not readily available. Some are rare or very expensive and CD distribution is a relatively inexpensive method of making many books available at a reasonable price. Wesleyan Heritage Publishing started more than 25 years ago when Sulu Kelley got his first copy of "Online Bible" and decided to create Wesleyan/Arminian notes for it. Since thene there have been several additional releases of the "Wesleyan Heritage Library" CD (currently the Fourth Edition with over 500 books) and the latest CD in co-operation with Ages Software "The Wesleyan Heritage Collection". In 2003 Sulu also brought out another major work "Thomas Coke's Commentary on the Holy Bible" including the original scans of the material for use in reference works, by allowing the material to be searched, copy/pasted, and then cross checked against the originals, and bibliographic data created to match the original work. This should be very helpful to Writers and Researchers, and it should save wear and tear on Archival Books in libraries. As well it has made this material available at a moderate cost to every serious Bible Scholar. After Sulu went home to be with his Lord in March of 2007 his wife, Barbara, who had been his partner in the ministry continued to distribute the Wesleyan Heritage material. In December of 2008 Barbara felt that she should spend more time with her friends and family (she loves traveling and visiting panda exhibits and zoos). 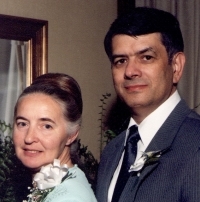 In February of 2009 Barbara passed the torch to Dave and Eleanor Pohl who distribute Wesleyan Heritage Publishing CDs along with the Online Bible program on their website www.onlinebible.us And so the legacy continues. The Wesleyan Heritage Library - A collection of Wesleyan/Arminian writers including Wesley, Clarke, Benson, Sutcliffe, Godbey, Beet, Fletcher, Watson, Asbury, Tyerman, Telford, Steele, Bounds, Wood, etc. - Read more about The Wesleyan Heritage Library. The Wesleyan Heritage Collection - A sundry collection of somewhat rare, sometimes difficult to find, and generally out of print reference books of the Wesleyan/Arminian viewpoint. The CD includes works by Francis Asbury, Joseph Benson, John Fletcher, Richard Watson, Adam Clarke, John Wesley and many others. Read more about The Wesleyan Heritage Collection. Thomas Coke Commentary - This powerful commentary by one of American Methodism's founders, is once again available more than two hundred years after it's first publication. The two CD set containsall six volumes of the Old & New Testaments, including Ancillary data and Appendix to Revelation. Read more about Thomas Coke's Commentary on CD. Over the years Wesleyan Heritage Publishing has been supported by Edward and Angela Cook who sell our CDs along with many great christian books on their web site http://www.kingsleypress.com please check them out.